Technology integration is something we should begin to think about during our back to school planning. Otherwise we get busy and it’s January before we realize we haven’t done any technology integration. But, how do we get started with technology integration? 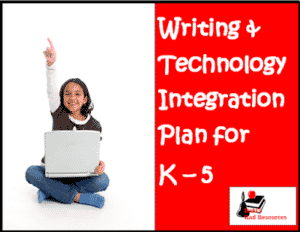 This Technology and Writing Project Matrix gives you project ideas for Kindergarten through 5th grade. Students work on writing concepts while utilizing technologyas well. It’s a great way to begin getting that technology integrated from day one. Download this free matrix from my Teachers Pay Teachers store.